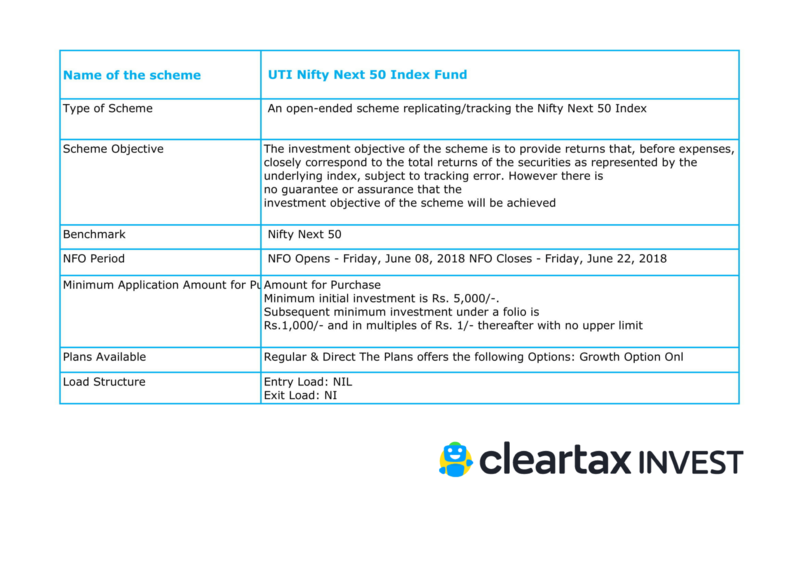 What is UTI Nifty Next 50 Index Fund? Who should invest in the scheme? What are advantages of the Scheme? 1. What is UTI Nifty Next 50 Index Fund? It is an open-ended equity scheme which aims at replicating/tracking the Nifty Next 50 Index. The scheme attempts to capture market returns, by taking exposure using an index, instead of trying to actively select the stocks. Nifty Next 50 is an index that represents the performance of the ‘next’ 50 stocks which come after the top 50 stocks in order of free float market capitalization. It represents companies which comes after the Nifty 50 index and may be potential candidates for inclusion in Nifty 50 in the future. The scheme attempts to provide returns that, before expenses, closely correspond to the total returns of the securities as represented by the underlying index, subject to tracking error. However, the scheme doesn’t assure or guarantee the achievement of investment objective of the fund. The scheme is available as a direct plan as well as a regular plan of the mutual fund. Additionally, both the variants are available in growth option only. The NFO period is from 8th June 2018 and continues till 22nd June 2018. 2. How much does it cost to invest in the scheme? The minimum application amount to purchase the units of the scheme has been fixed at Rs. 5,000/-. Subsequent minimum investment under a folio is Rs.1,000/- and in multiples of Rs. 1/- thereafter with no upper limit. Apart from this, the scheme neither charges entry load nor exit loan from the investors. 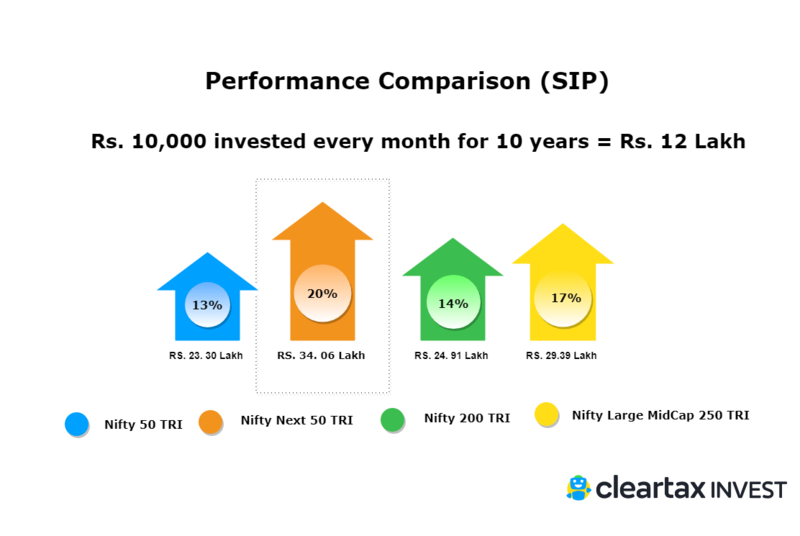 The scheme considers Nifty Next 50 Index as the benchmark to compare performance of the fund. The fund manager of the scheme is Mr. Kaushik Basu. The fund manager will select the companies based on their free float market capitalization. 3. What are the risks involved in the Scheme? Even though it is a passively managed fund which invests in equity/ equity related securities, the fund manager’s investment decisions may not always perform as expected. The Net Asset Value (NAV) of the fund may change subject to market risks arising due to price and volume volatility in the capital markets, interest rates, currency exchange rates, changes in the Government policies and other political and economic developments. The liquidity of the equity and equity-related investments made by the fund may be constrained by the trading volumes, settlement periods and transfer procedures. The fund may choose to invest in unlisted securities, within the regulatory limits, to earn attractive yields. This might however lead to a rise in overall risk of the portfolio. The composition of the underlying index is subject to changes that may be effected periodically by the India Index Services & Products Ltd – IISL. The performance of the scheme will be directly affected by the performance of the underlying index . The returns generated by the scheme may be affected by the extent of the Tracking error. 4. Who should invest in the scheme? The scheme is suitable for investors who wish to have an equity exposure but at the same time prefer passive investing over active investing. Being an equity-oriented scheme, the fund manager will invest your money in equity instruments comprised in Nifty Next 50 Index which have a strong potential to grow from large caps to giant caps in future. So, as the index returns grow, your chances of wealth maximization will also grow with it. 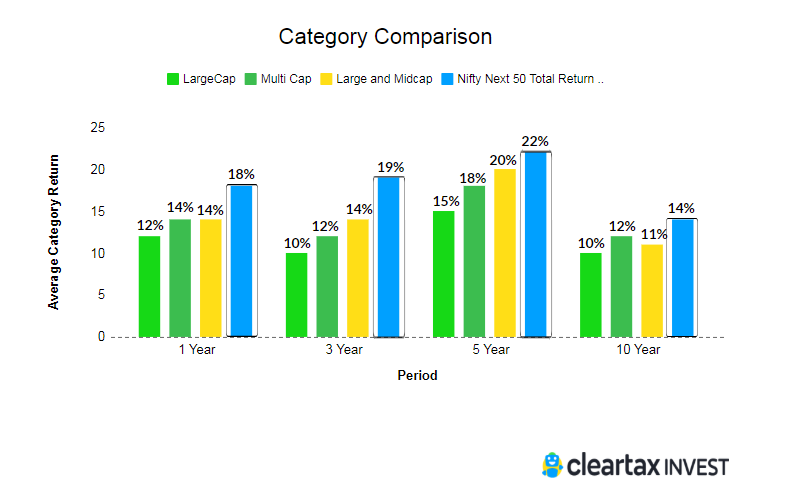 You need to have a long-term horizon of at least 5-10 year to gain the most out of your investment. However, the scheme will extend a repurchase option and you may also use systematic transfer plan (STP) or systematic withdrawal plan (SWP) to suit your investment needs. 5. What are advantages of the Scheme? The fund manager will maintain a well-diversified portfolio which gives you exposure to segments of markets and also market as a whole. Under a passive investment approach, you will get a moderately risky investment opportunity wherein the unsystematic risk will be reduced as much as possible. Unlike other actively managed funds, the scheme has an added advantage of being a low cost haven which gives you reasonable returns.